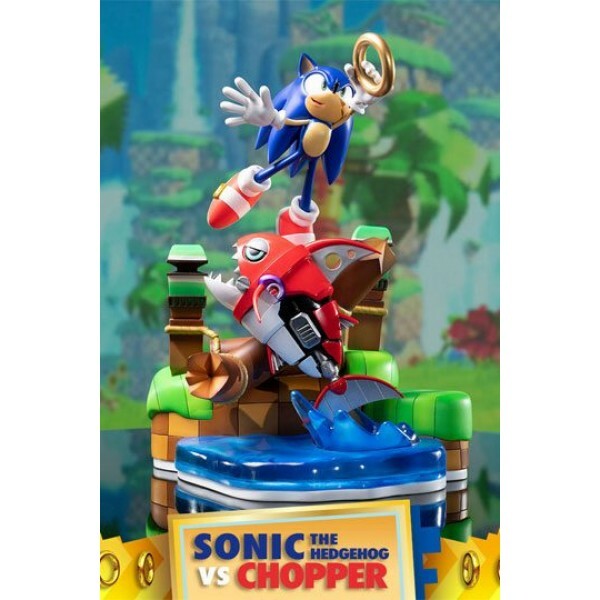 Inspired by the Sonic Generations video game and set in an iconic section of the Green Hill Zone. 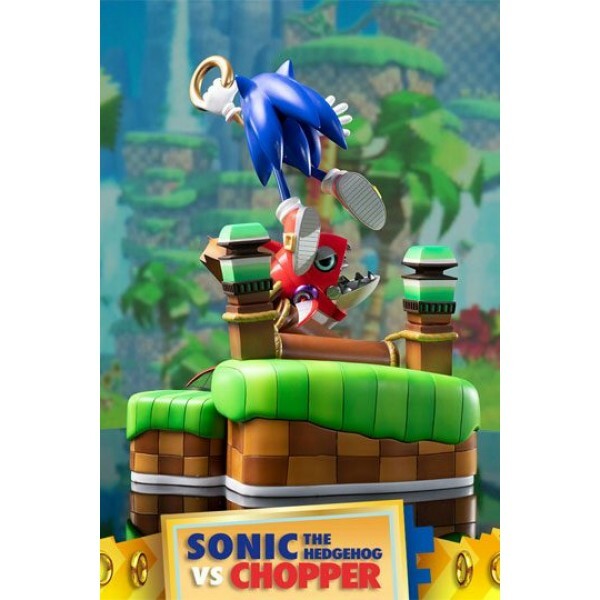 The Green Hill Zone is a lush, grassy stage full of environmental features such as palm trees, vertical loops, and cliffs. 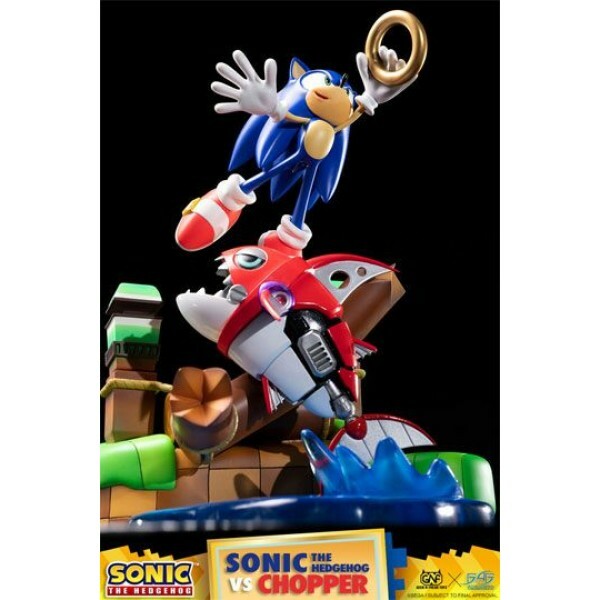 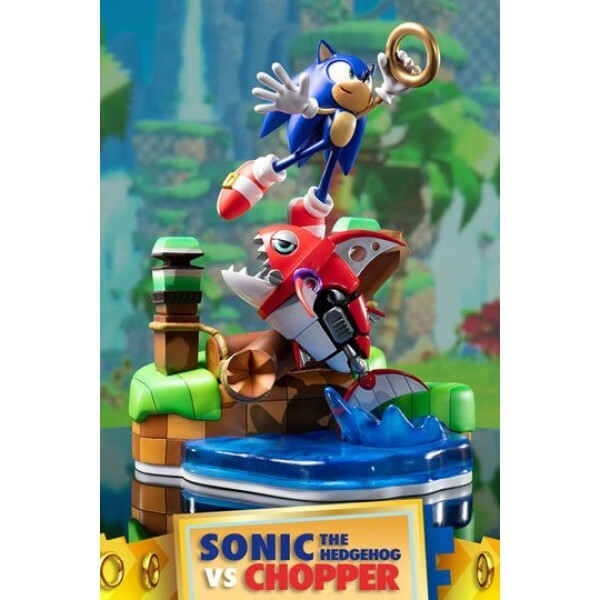 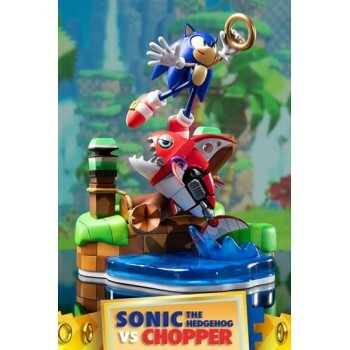 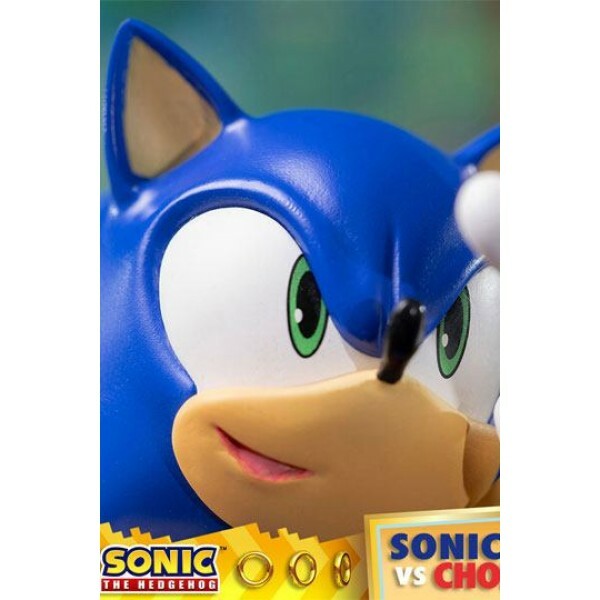 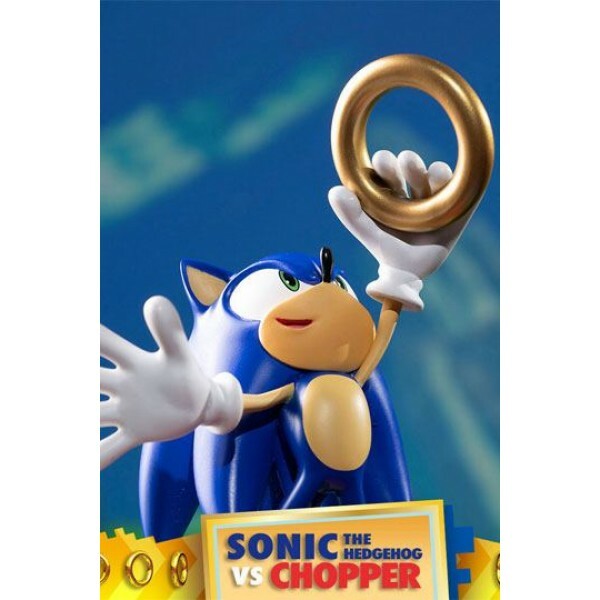 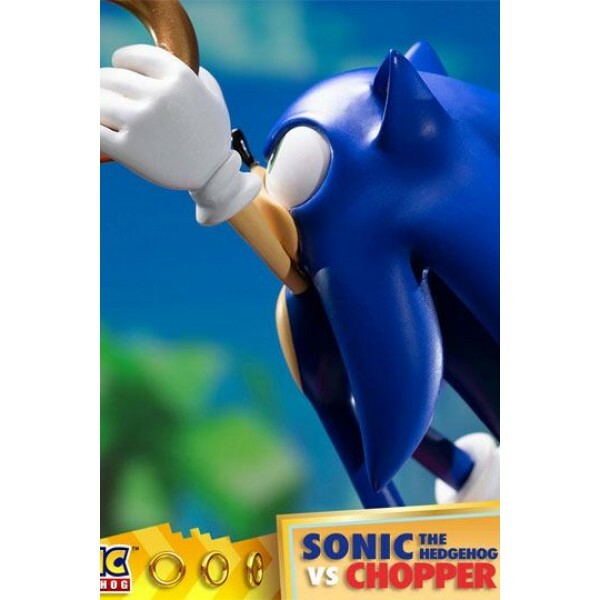 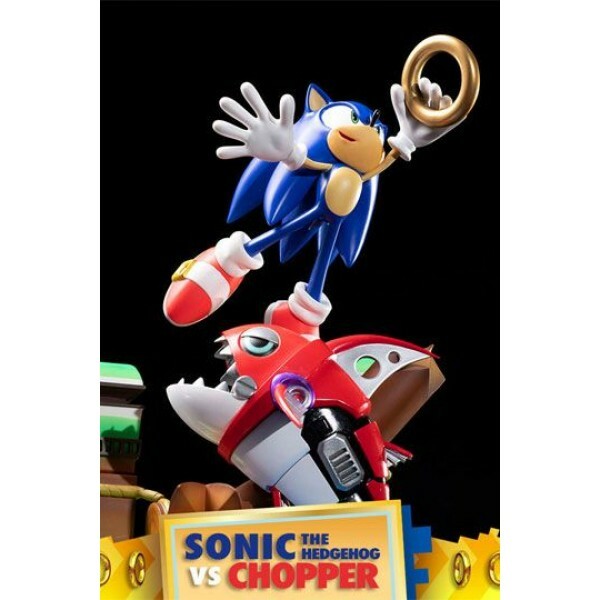 The Sonic as seen leaping through the air catching the gold ring is based on the Modern Sonic look and the pose is inspired from a scene in the Sonic Generations video game intro where the Modern Sonic and Classic Sonic both leaps through the air. 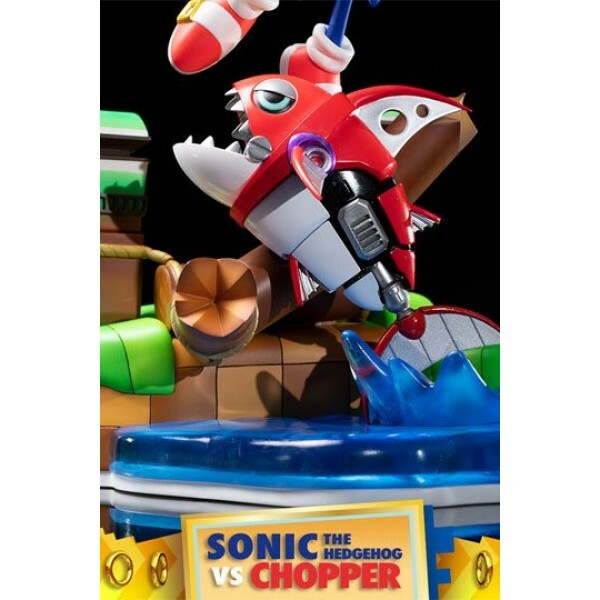 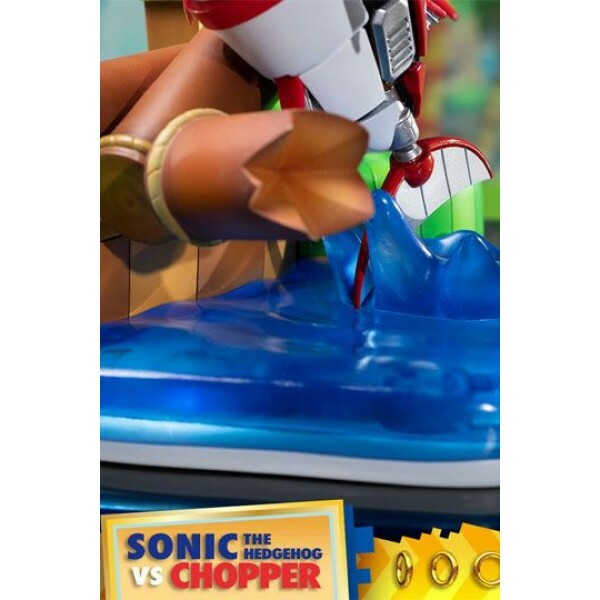 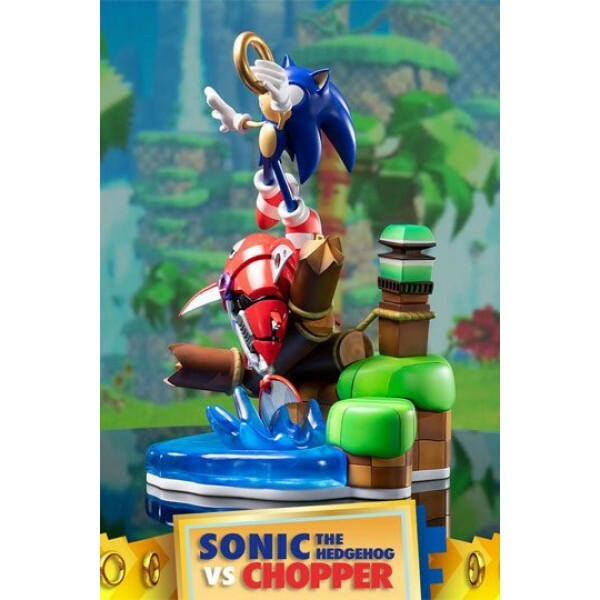 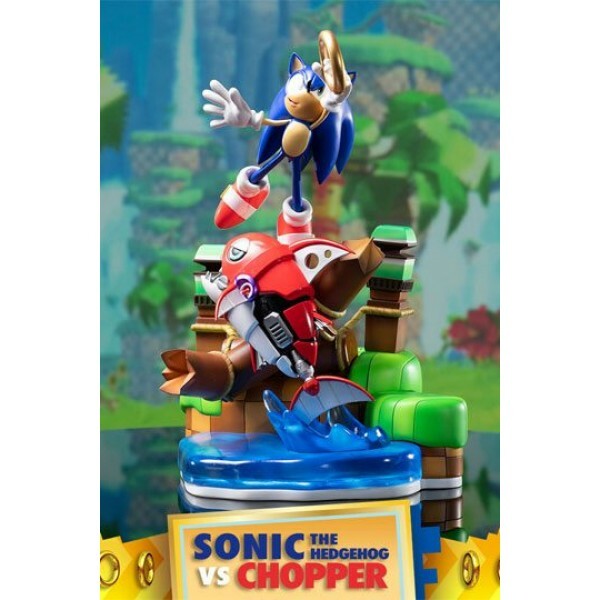 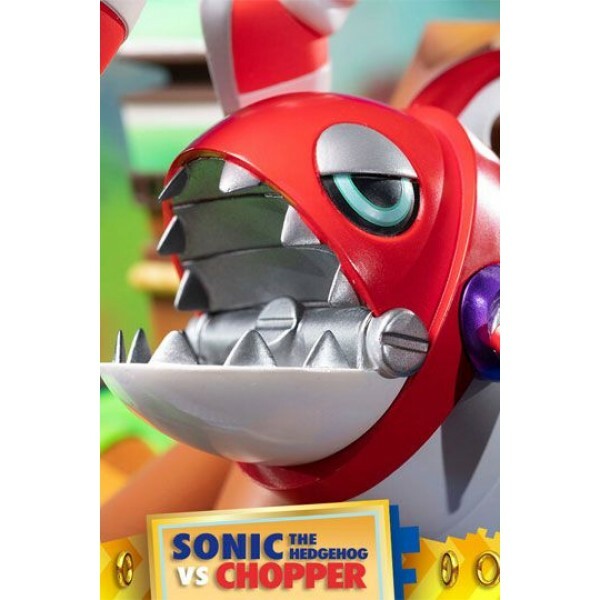 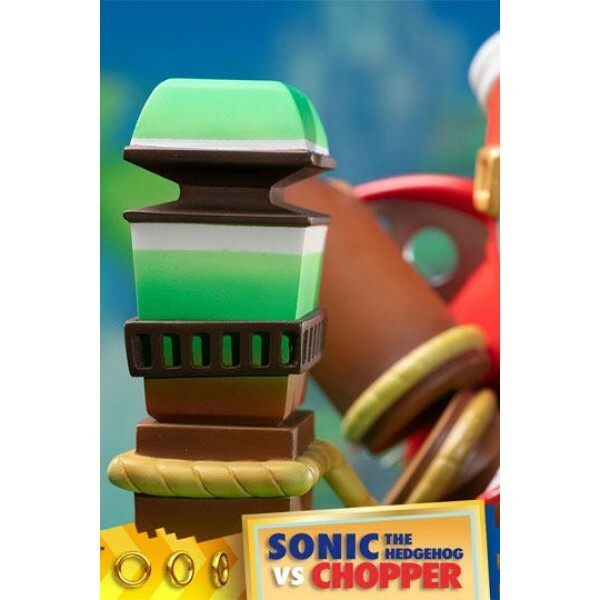 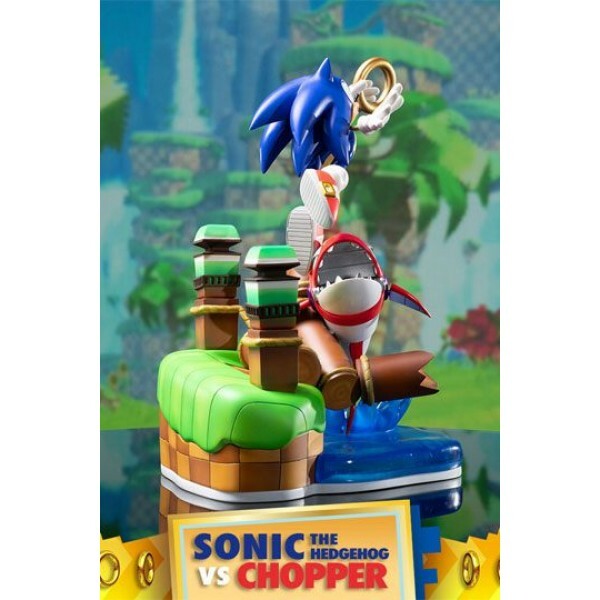 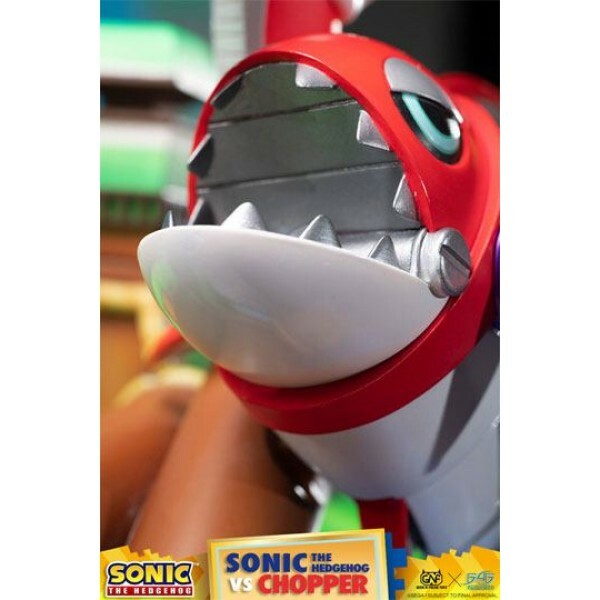 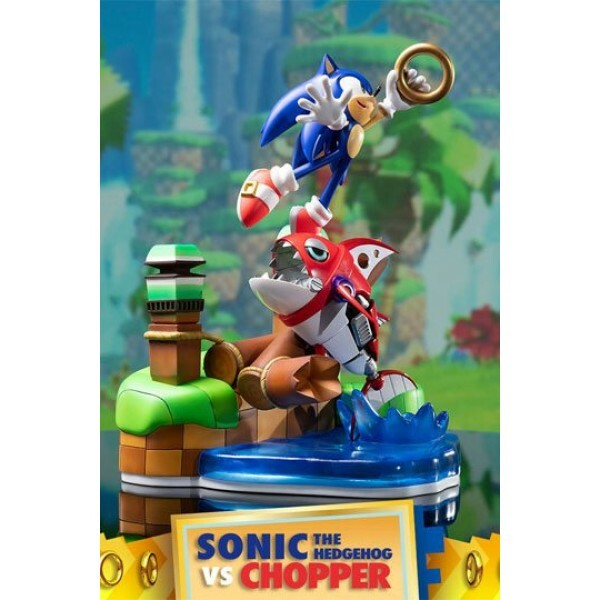 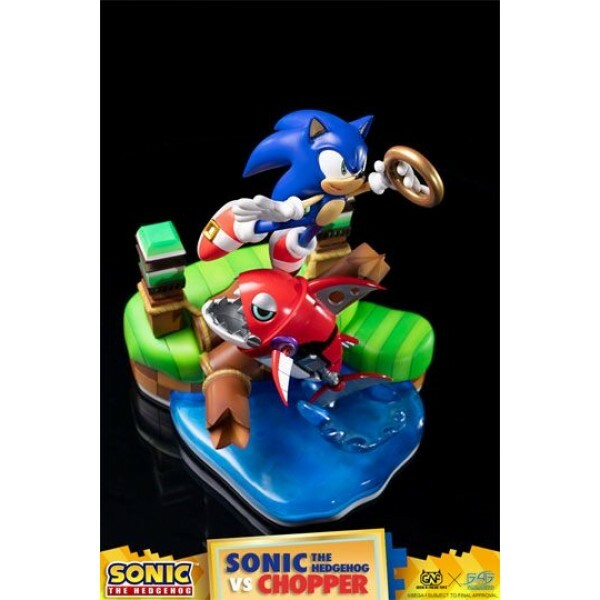 Attacking from below is Chopper the deadly piranha; part of the Badnik models created by Dr. Eggman leaps out of the water chopping through the bridge trying to stop catch out Sonic.